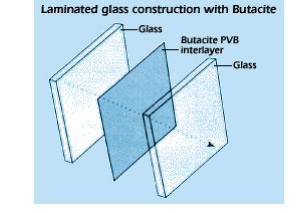 This is how your standard windshield glass is put together. 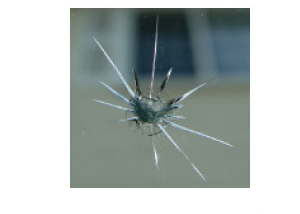 When a rock hits the windshield, it creates air pockets/cracks which cause the windshield to lose the integrity it previously had. To fix it, we vacuum out any air pockets within the crack, fill the remaining pocket with a durable, complex resin, and seal it to restore its integrity. 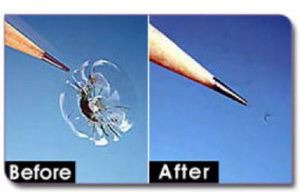 When completed, your windshield will look as good as **new and have the integrity it once did. * * There is always a ‘Scar’. The visibility depends on how light refracts off the chip or crack.